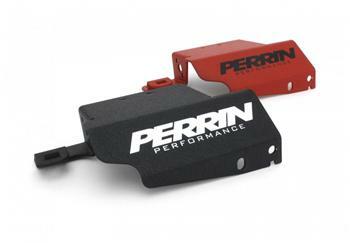 Perrin Engine And Boost Solenoid Cover SUBARU - Lightning Motorsports - Selling Speed since 1996 ! Replace your ugly, corroded, steel boost solenoid cover with a PERRIN Performance Engine and Boost Solenoid Cover. Powder coated for protection from the elements, the textured finish will look awesome for years to come. Available in black, silver or red powder coating. Besides a sleek new cover this part also provides a clean custom mount for your PERRIN EBCS Pro boost control solenoid. Show it off with a window to proudly display your EBCS Pro. If you are using OEM boost control, no worries this part provides a custom mount for that as well.